Hello blogosphere! Today I bring you one of the most popular recipes ever. A google search brings up about 26,600,000 results. It is a quintessential American recipe and is considered the ultimate comfort food. I’m talking about the chocolate chip cookie. 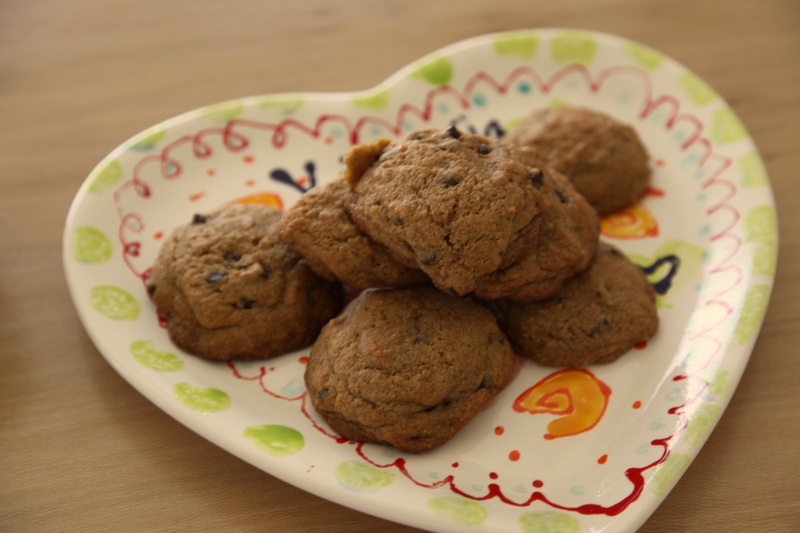 Ruth Graves Wakefield published the first chocolate chip cookie recipe in 1936. 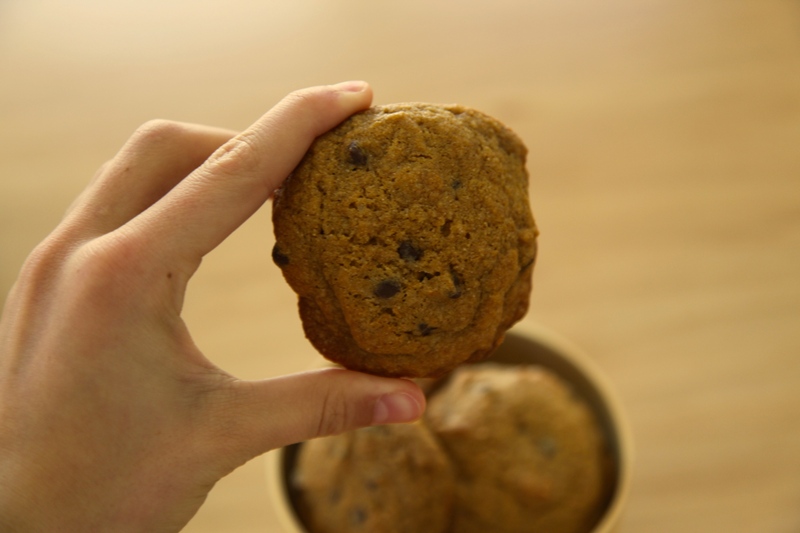 She owned the Toll House Inn in Whitman, MA, and allegedly discovered chocolate chip cookies by accident, when she added chocolate chips to a drop cookie recipe, intending to make chocolate cookies. 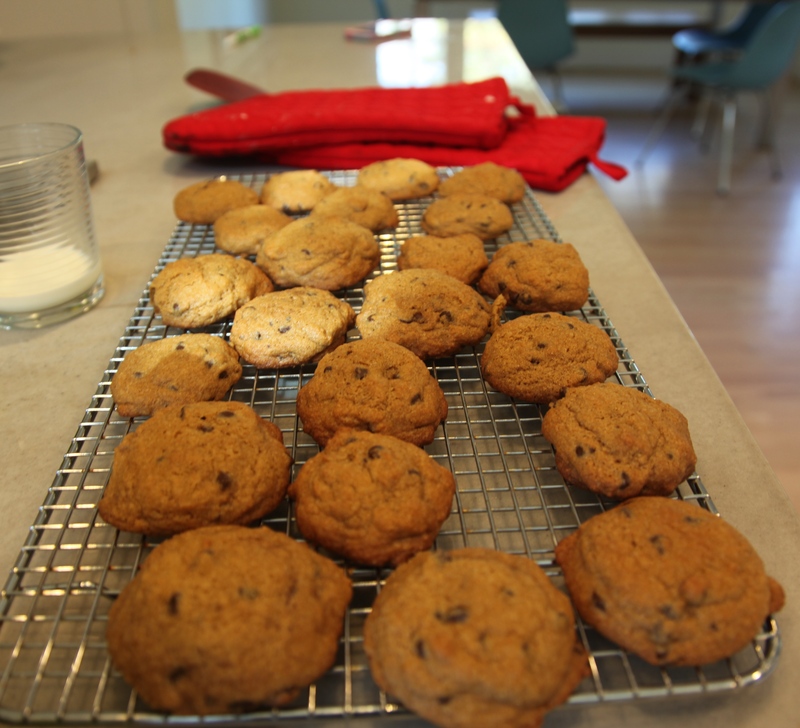 Chocolate chip cookies have been a staple in the Thordal house for as long as I can remember, almost as long as we have received the New York Times. 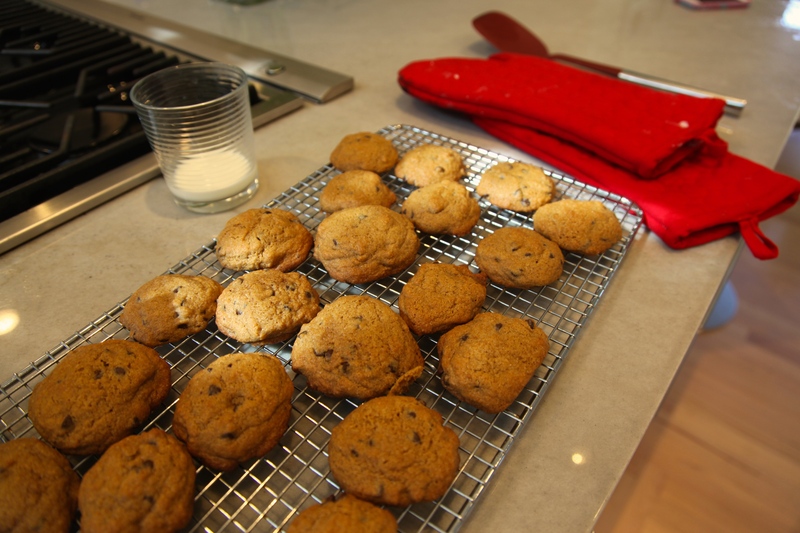 So it makes sense that our cookie recipe would originate from the newspaper. 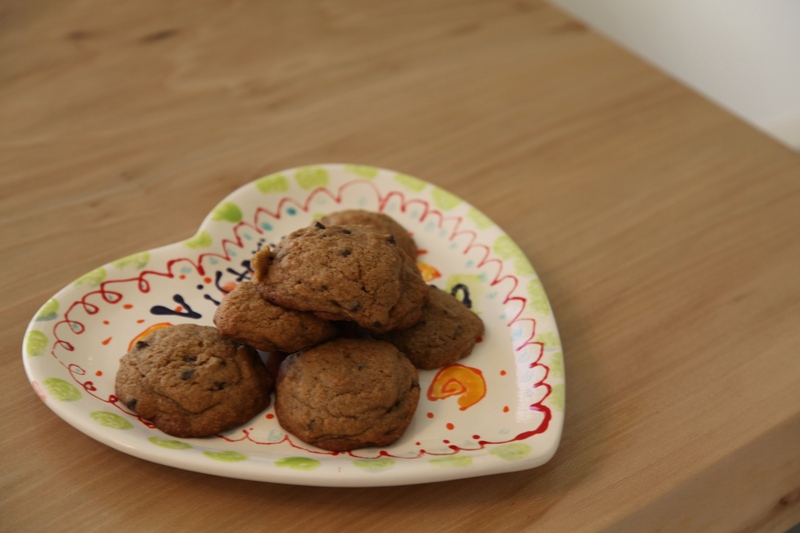 However, we have deviated from that recipe a bit (the cookies in the images below use mini chocolate chips and whole wheat flour). We always use the thick-and-gooey version of this three part recipe, however here is the thin-and-crisp version as well as the flat-and-chewy variety. Preheat the oven to 350 degrees. 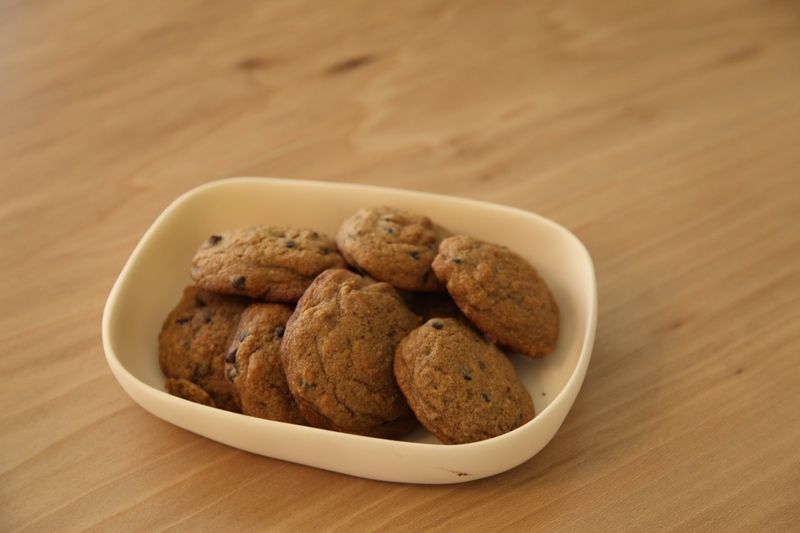 Line 2 cookie sheets with a Silpat or parchment powder. Sift together flour, baking powder, baking soda and salt. 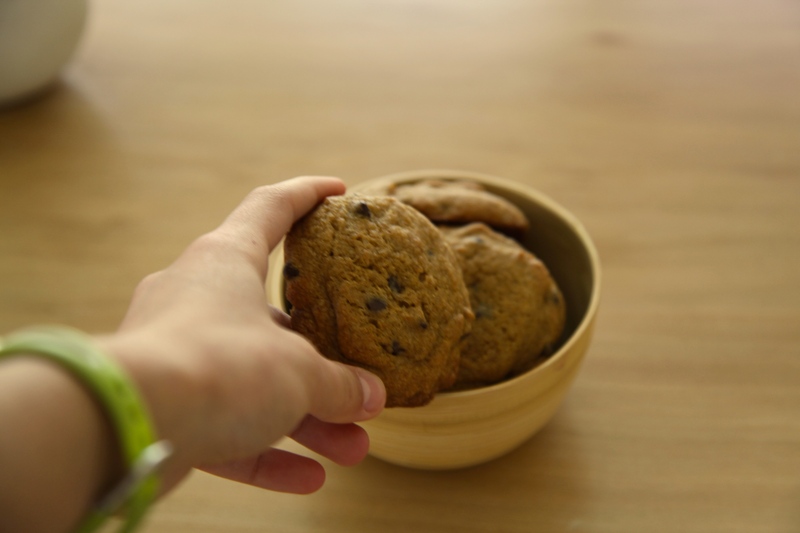 Roll tablespoons of dough into rough spheres (for thick cookies, make as tall as possible). Bake for 8-10 minutes, switching the sheets halfway. Let sit for 5 minutes on cookie sheets, then transfer to cooling racks. Enjoy warm with a glass of milk! Check out my latest blog! Please leave a comment and like if you like it! It’s also on cookies! 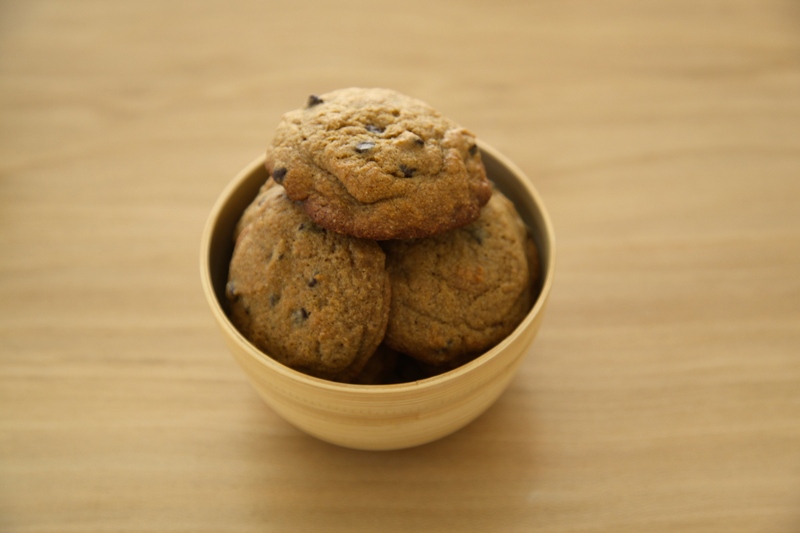 And your Fail-safe cookies look amazing!